Just because you’re going away on a holiday it doesn’t mean that your car is too. In fact, if you’re embarking on a road trip, these might be some of the hardest days of your vehicle’s life. Unfortunately, too many holiday makers don’t organise a thorough inspection of their car before taking off. To avoid being stuck on the side of the road with the kids asking ‘are we there yet?’ follow our holiday checklist for your car. 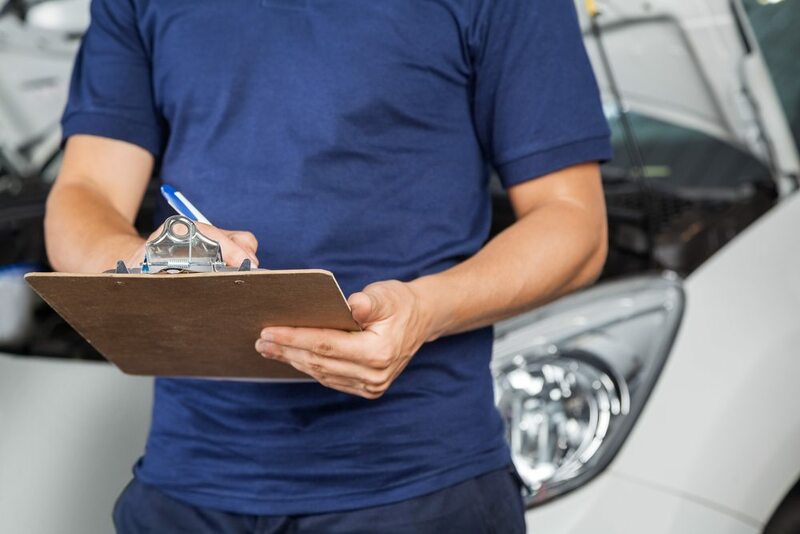 The first thing on your list should be booking your car in for a service with the mechanic. And we mean a full service – everything from the engine oil to the air conditioning and the electronics. This will ensure your car is well prepared and ready to handle the long drive. Have you been driving around with a small chip or a crack in your windscreen? While we don’t recommend it, we understand that these things can get overlooked. But holidays often mean driving down the road less travelled, which usually comes with plenty of loose rocks. Holidays also come with long drives, which increase the chance of something going wrong. Make sure your trip isn’t derailed by a rogue rock or a rough bump. Our resin will ensure any existing damage is fixed and that your windscreen is strong again. As a car window specialist, we can’t go past this one either. Make sure all the elements of your windows are in top working order. They should be crack-free, clean and any electrical components should be working smoothly. Remember that windows will probably get a workout on your road trip. Ensuring they are fully functional will avoid any further complications. Another important part of your car is the tyres. If you are going on a holiday, your tyres will bear the brunt of the journey. Prior to leaving, ensure they are fully inflated and that they have plenty of tread. If you are a little concerned about their health, have them looked at by a professional. They will advise on any nasty defects that may be a cause for concern. If you’re driving particularly long distances, stop to check your tyre pressure every time you fill up the car. Also, be sure to inflate your spare tyre and have your jack and spare wheel nuts handy just in case of an emergency. Long drives are often met with fatigue. When you plan a holiday, be sure to pack plenty of water for the drive. Keeping hydrated will ensure your mind is awake and alert. If it is a considerable distance, pull over every so often and take a rest. Also, stop for short walks to keep the blood flow circulating. Don’t risk putting yourself and others in harm’s way. As a leading cracked windscreen repairer, we never compromise on delivering quality for our customers. Before you head off for your holiday, have your windscreen and windows repaired or replaced with us. Our technicians have more than 20 years of experience in windscreen repair and we can give you a fast quote. Why Choose Advanced Auto Glass? FOR MORE INFORMATION ABOUT OUR WINDSCREEN REPAIR SERVICES AT ADVANCED AUTO GLASS, CALL 02 9570 1011 TODAY OR FILL OUT AN ENQUIRY FORM ONLINE!